The shocks on your vehicle are an important component that can keep it from bouncing on the road while you’re driving. If there are any issues with the shocks on your vehicle, you might notice a few signs before they need to be replaced or repaired. One of the signs that you might notice is that your car slides or veers to one side of the road while you’re driving, especially if it’s breezy that day. Most vehicles shouldn’t have to be corrected while you’re on the road, even if it’s windy because the shocks will help to maintain a straight path. Uneven wear and tear on your tires is another sign that something might be wrong with your shocks. When your shocks are worn, then your tires won’t stay on the road evenly, which means that one or two tires might wear out sooner than the others. Any uneven wear on your tires can lead to hydroplaning when there’s water on the road. 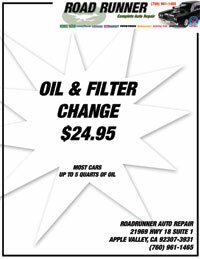 Road Runner Auto Care in Apple Valley can inspect your tires to determine if the damage is from your shocks or if it’s from another issue. Any rocking of your vehicle while you’re driving could be a sign that your shocks need to be replaced. Road Runner Auto technicians can drive your vehicle to get a better idea of how bad your vehicle rocks from one side to another. 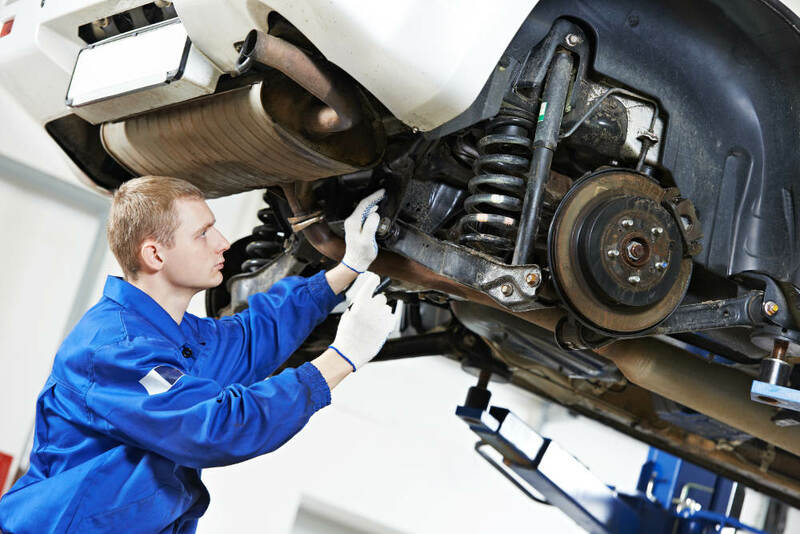 The technicians can also listen to your vehicle to determine if there is any rattling or other odd noises that could be an indication that the shocks are worn. When you apply your brakes, your vehicle should swerve or dip down toward the road. This is often an indication that the shocks on your car are near the end of their lifetime, which means that they need to be replaced as soon as possible.